Complex statistics of your website and effective analysis are presented on one page. Project page is an important section required for productive work with web analytics of your projects. Work with web statistics as a professional. Hover the mouse cursor over specific elements on the page to see helpful tips. Check and analyze position changes dynamics creating sample data. Clear-cut diagrams and schemes will help you to estimate your website efficiency. Learn how to reach Google TOP positions. Track your website dynamics by adding relevant keywords to your projects. Increase your website popularity to attract more visitors and to get more profit. Don’t get any ideas how to attract visitors? 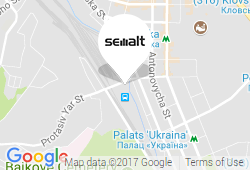 Semalt Web Analytics knows how to solve this problem.